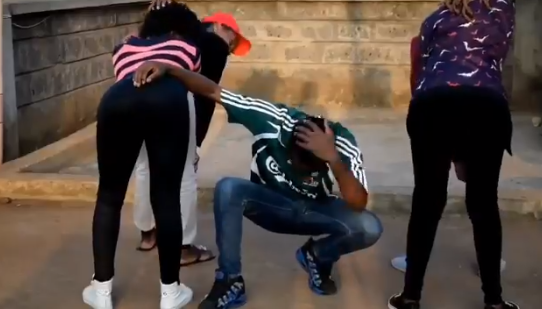 Thursday, 11 April 2019- Parents should watch this disturbing video of their daughters and sons misbehaving and weep. From the video that has sparked outrage on social media, the young ladies who are barely in their teens are twerking as the retarded guy tries to sing. The idiot goes ahead to vomit profanities while the ladies gyrated their behinds. This is clearly a lost generation and parents should weep for their sons and daughters.